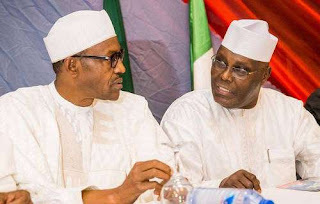 The presidential candidate of the Peoples Democratic Party (PDP) for the 2019 general election, Atiku Abubakar has accused President Muhammadu Buhari of hiding the nation’s unemployment data. It was reported on Thursday, that the statistician-general of the federation Yemi Kale, said the federal government has not released money for the National Bureau of Statistics (NBS) to complete the unemployment report. Reacting to the development, Abubakar in a statement on Thursday by his Presidential Campaign Organisation said the Buhari administration had “failed” to provide the National Bureau of Statistics (NBS) the funds it needed to perform its functions. The PDP Presidential candidate said the All Progressives Congress (APC) led government was in panic mode because of the “unprecedented unemployment numbers” in the country and desperate to hide that information from the public ahead of the 2019 general elections. His words: “We notes with dismay the testimony of the Statistician General of the Federation, Mr. Yemi Kale, that the National Bureau of Statistics (NBS) is unable to release the annual unemployment report that it is mandated by law to produce, because the Buhari administration has not provided the NBS with the funds it needs to perform this essential service. “President Buhari promised to create three million jobs per annum during the 2015 presidential campaign season but has ended up losing over three million jobs every year since he was sworn in on May 29, 2015. “Since the Buhari administration came to being, 11 million Nigerians have lost their jobs and in December of 2017, the NBS under Yemi Kale announced that 7.9 million Nigerians lost their jobs in the 21 months period under review. “Thus, we can understand why this failed administration is desperate to cover that information up, however, the Atiku Presidential Campaign Organisation insists that Nigerians deserve to know the truth no matter how unpalatable it may be,” Abubakar added.